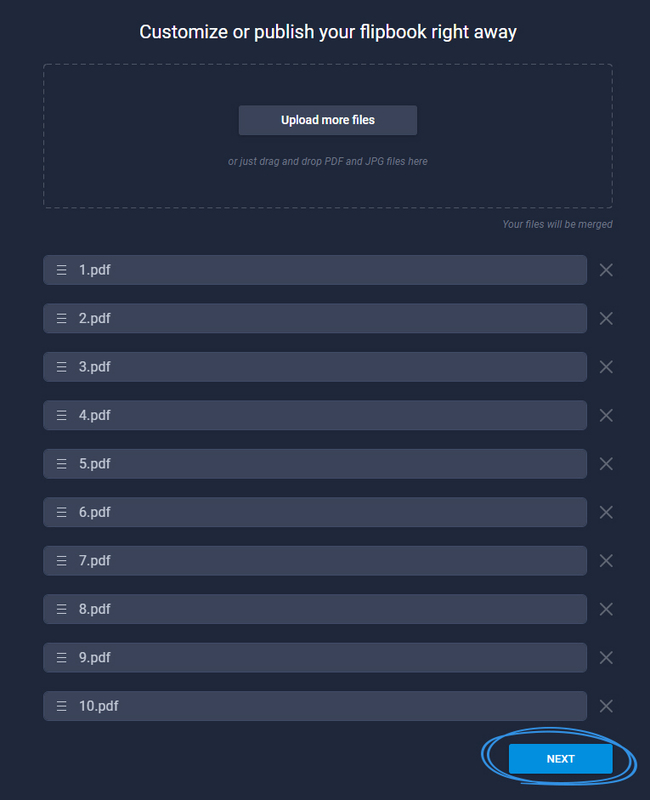 Announcing our new PDF merge upload functionality and reordering multiple pages at once. As you all know, in Flipsnack you are able to upload multiple PDF or JPG files at once to create a single flipbook. When creating your flipbook, select all the PDF files you want and order them to your liking. Once everything looks okay, click Next. Once the Next button has been pressed, all the PDF files will be merged into one. 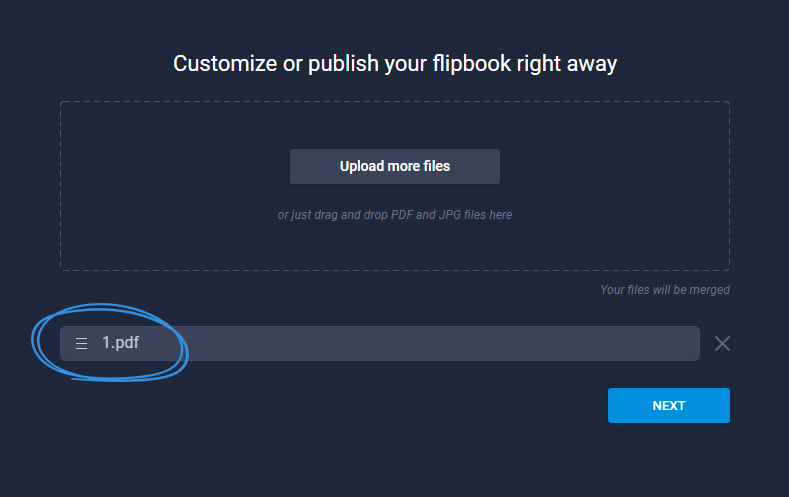 Later on, if you want to add more PDF files to the flipbook, you will see that there will be only one PDF file in the upload section, which contains all the PDF files merged together. The name of the PDF file that contains all the merged files is going to be the name of the first PDF file in the list, in this case "1". If you want to add more PDF files to your flipbook, simply click on Upload more files. When clicking Next again, the process is exactly the same - all files being merged into one yet again. To make your life easier, we have added a much requested multiple page reorder feature, which can be easily done from the Pages slide in the right part of the editor. All you have to do is hold down Ctrl button (Command on Mac) and select the pages you want to reorder, then use your mouse to relocate them. We are currently working on implementing an expandable Pages slide which will allow users to manage and reorder pages even easier. Stay tuned for that!